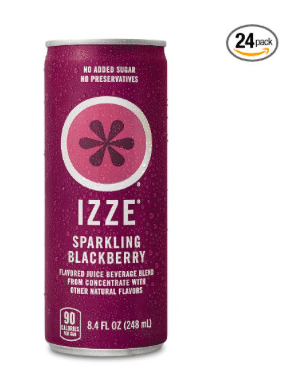 Amazon has a new price cut and coupon on the popular Izze sparkling juice, when you choose Sparkling Blackberry flavor. As low as $10.09 after coupon and 15% S&S, so just $.42 a can! Izze sparkling juice is a great, natural alternative to soda. I like having these on hand for parties and guests.